Here we are at week 8 and anther new category, Tudor Week. 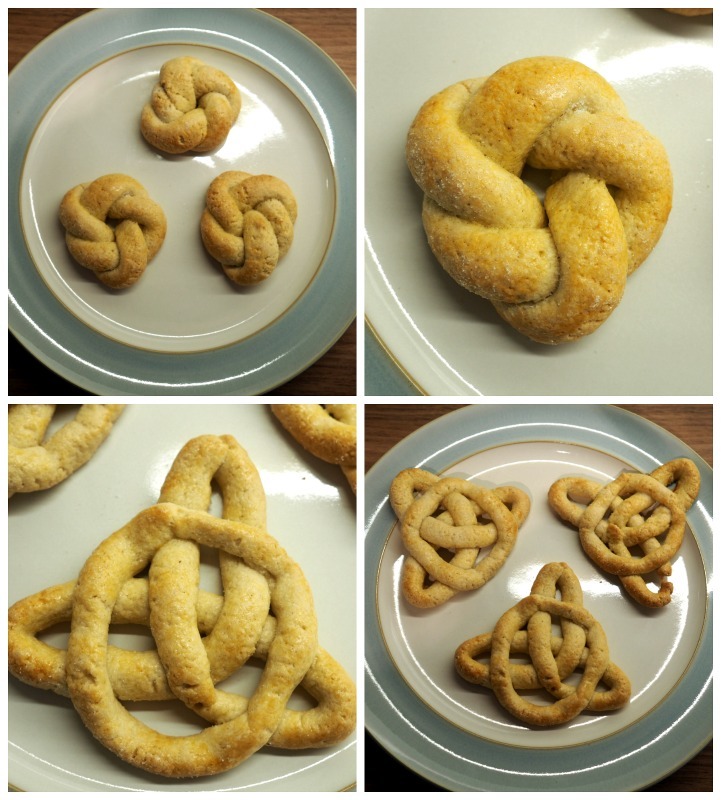 I decided to make Tudor Celtic Knot Jumble Biscuits There are only 5 bakers left in the tent. Selasi, Benjamina, Andrew, Candice and Jane. The Great British Bake Off as we know it (before the move to channel 4) is almost over. I’m hoping Candice and Selasi are in the final 3 but who knows. Signature: Tudor Pies – Savoury and in when put together, to form a design. It was quite a simple choice for me. I’m firmly stuck in a bit of a flare and so pastry and pies and a cake covered in homemade marzipan and styled elaborately, just wasn’t happening. I hate that my health can affect so many parts of my life but the good thing is that Jumbles, I can do. 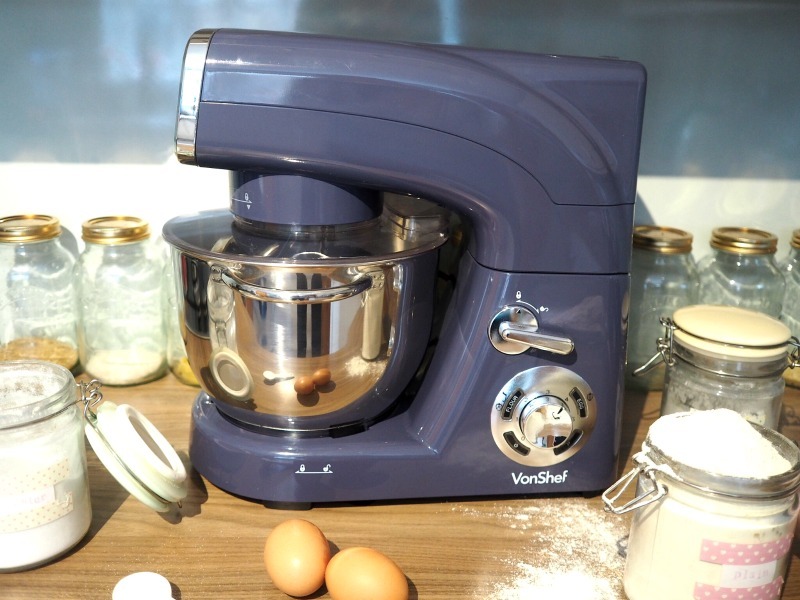 What made things even better was the arrival of a Vonshef Stand Mixer from Domu. I met Domu at a recent blogging event and I saw a selection of the products they sell and like a magpie to a diamond, I was drawn to them. The shine, the style and the colours of their mixers, Copper stainless steel mixing bowls and Cast Iron Casserole Dishes. They kindly sent me the Mauve Stand Mixer to review and so this was the first opportunity to give it a go. Admittedly, I could have mixed the whole recipe by hand, as the tudors would have done, but with my hands and fingers being so sore, the mixer was a blessing. Rub the flour and butter together to make breadcrumbs. Add the sugar and ground ginger and mix. Whisk the egg separately and then mix with the flour butter and sugar mixture. Bring together using hands, to make a dough. Knead the dough to make a smooth soft dough. Divide into 6 and shape into knots if desired. Whisk the second egg and brush all the biscuits with the egg wash before sprinting with sugar. 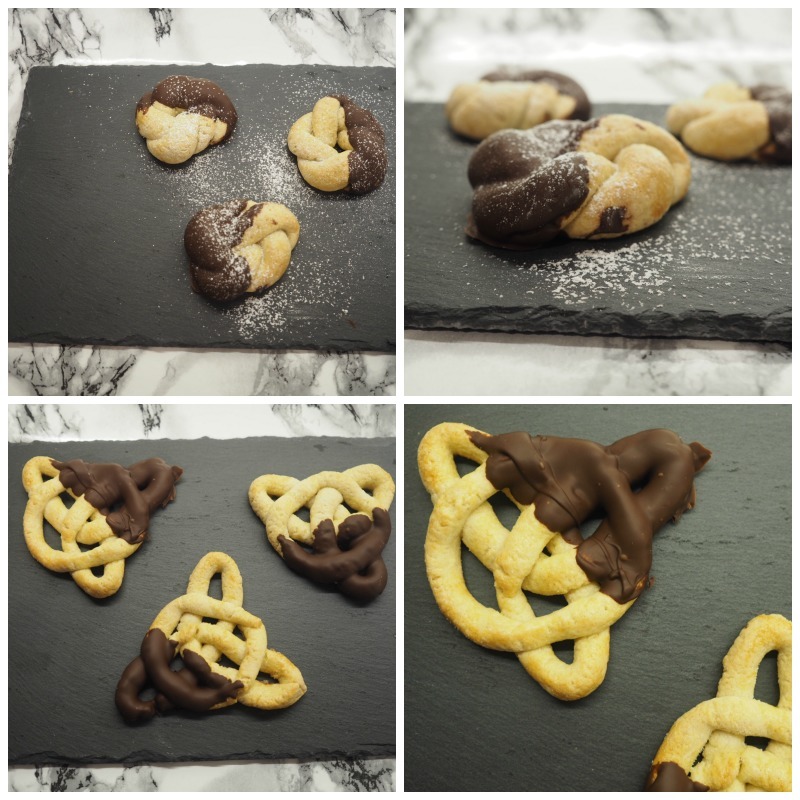 When baked and cooled, melt the dark chocolate in a bowl over hot water and dip the biscuits. Leave to set on baking paper and then enjoy. I decided to try the same knots as the contestants did on the show – a double knot and a Celtic knot. 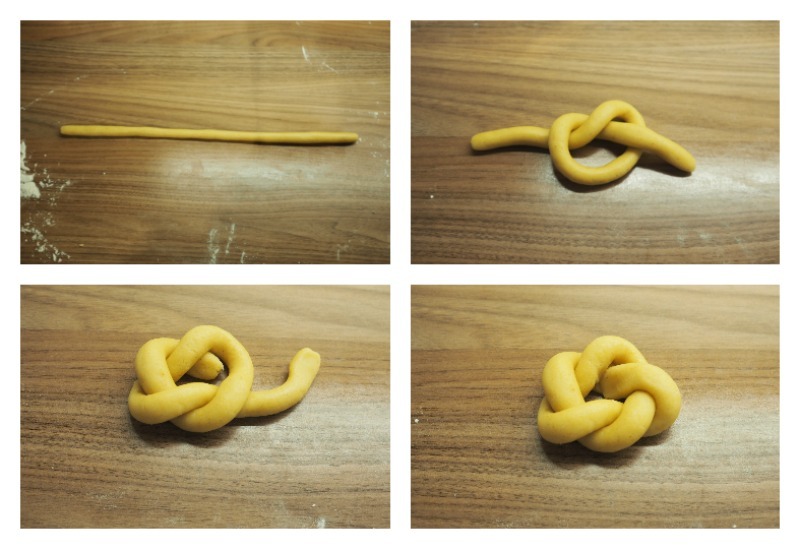 To make the double knot, I rolled the piece of biscuit dough into a length approximately the thickness of my little finger. I began by ‘tying’ a knot, as you would when tying your shoelaces. Then I took one end and looped it under the knot and the other end over and into the middle, joining it to the other loose end. For the Celtic not, I made the length of dough as long as I could. I cut approximately 1 third off to make the circle at the end. Lay the length of dough like a rainbow. Take the left end down and cross it over and above the rainbow Take the second end and again, take it down and up over the middle to meet at the top. Join the two pieces together and then make a circle with the leftover third of dough. Place that on top of the knot and adjust the shape until you are happy. My top tip is to do this on the baking paper on the tray as moving it, even with a flat fish slice type of spatula, will change the shape. Take another egg, mix it and brush all the biscuits with the egg wash Sprinkle sugar on top and bake in the oven. The larger Celtic Knots will take 15-20 minutes and the double knots 20 – 25 minutes. When they have baked, allow them to cool and then dip into melted dark chocolate. Now, you may be thinking Chocolate? In the Tudor times? Well, my research shows that chocolate was introduced in the 1500’s from the ‘New World’ across the Atlantic. I wasn’t sure what to expect from these biscuits but they are actually really tasty. The ginger is gentle so if you like a strong ginger taste then you may want to add a little more but the flavour of ginger and dark chocolate is always a winner. I’m quite happy with the knots. They could have been better but for a first attempt, they’re not bad. 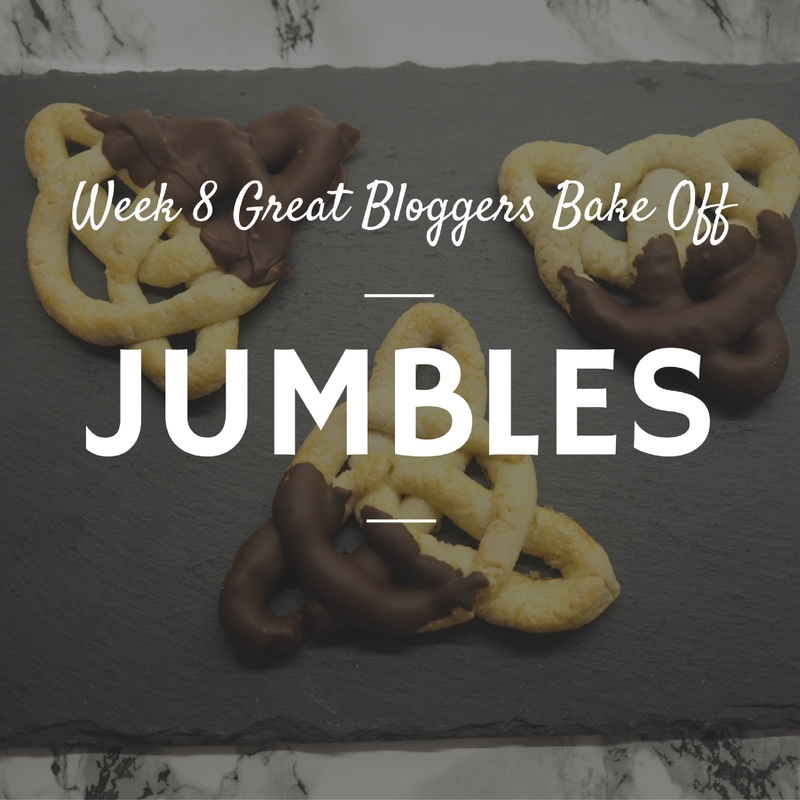 your jumbles look very good Hannah – like proper good. i also love that you also added some ginger and then dipped them in chocolate! yum! 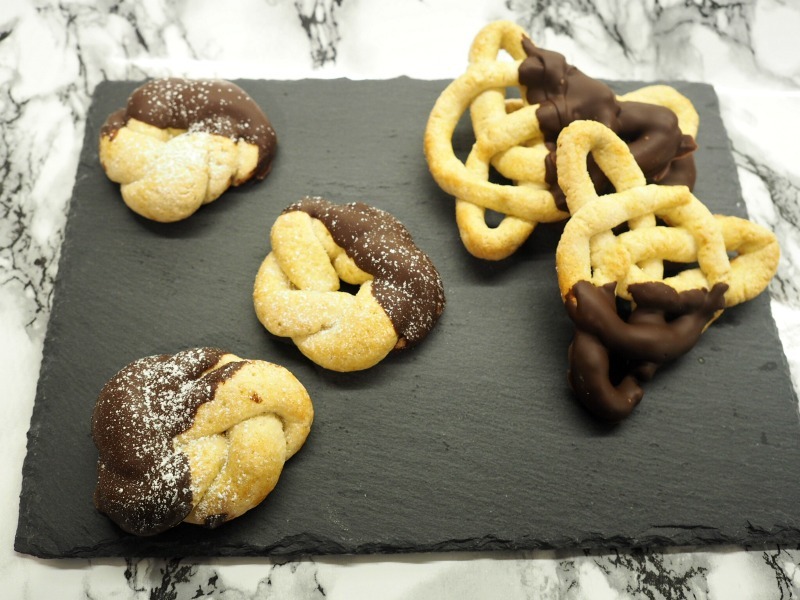 you managed to get your jumbles to keep their shape too, but then your ingredients are different to mine, so maybe that was why? Actually, i think it is because I am rubbish at making biscuits!!! These look so good! Very impressed at how neat your knots are. I’m just trying to find some time to make them myself. I’ve been good at keeping up this year until last week when things just got away from me. 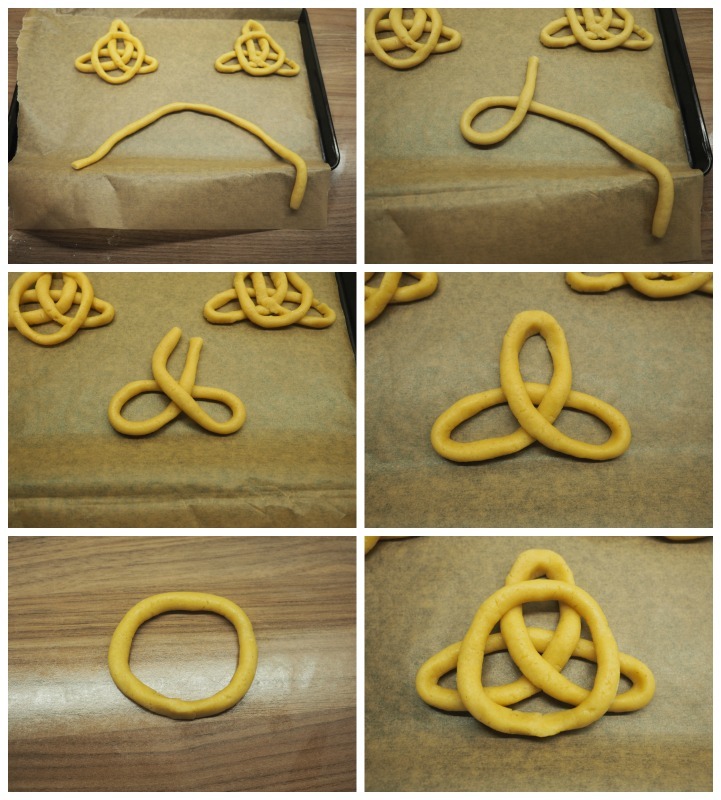 These knots look so difficult but you have broken down the steps so beautifully, even I as a non-baker is getting a feel that I can pull these off! Question: Can I use milk chocolate instead of dark chocolate?